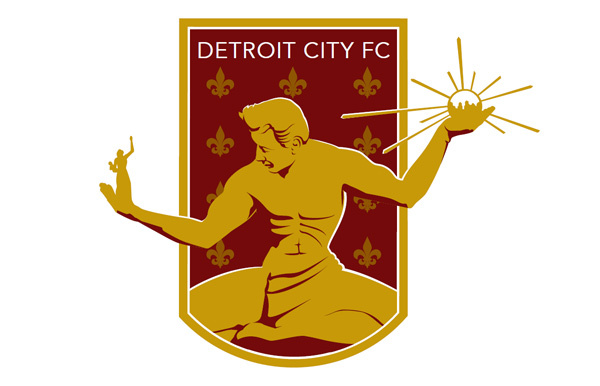 This is the identity that Detroit City FC have pinned themselves to. 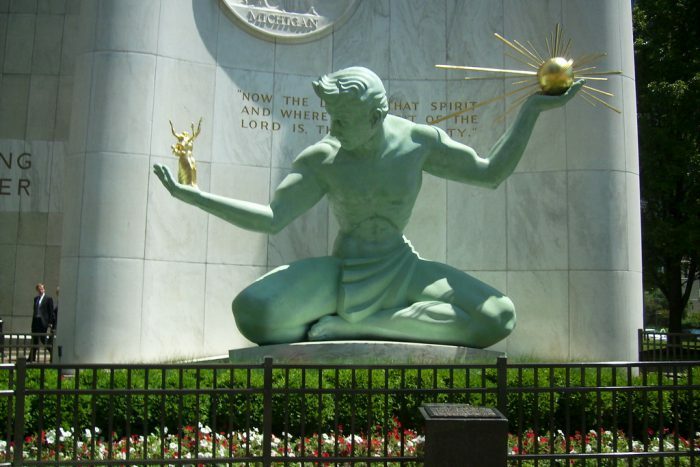 An instantly recognizable civic symbol of Detroit, and one that suggests sophisticated urbanism rather than suburban soccer. One of the leading figures behind Detroit City FC, Sean Mann, spoke to Pitch Invasion this week about the new club, who will begin play at the fourth tier of American soccer in the NPSL this May. You can listen to the full interview with Sean below, or over on iTunes. 1) Rally hundreds of motivated, young Detroit residents around a single cause. 2) Highlight 22 different historic neighborhoods throughout the city, and create unique branding for each. 3) Get the crowd out to a different bar, in a different neighborhood, each week. 4) Double the number of participants by the second year. 5) Get 10 people to pack up and move to Detroit. This sounds like a job that will need a lot of financing, committees and sub-committees, and months planning with a large team in place to implement, right? Wrong. This is what happens when you start up a soccer league in Detroit. League Commissioner Sean Mann started the Detroit City Futbol League last year as a way to bring city residents together, to celebrate the rich fabric of neighborhoods that make up the city, and to bring the 18-and-over crowd together over something other than frustrating politics. Detroit City FC aim, at the grassroots level of the NPSL’s essentially semi-pro fourth tier of American soccer, to tap into that urban crowd, and bring them together in the city to support a team consciously striving to appeal to adult supporters and participants already in love with the sport. “Our core focus is on using this team to build the supporters culture, to boost the supporters culture that’s already here in Detroit and give them a bigger platform,” Sean explained. Sean tells Pitch Invasion how Detroit City FC’s identity came about, who’s behind it and their hopes for the future. Give the interview a listen to learn about an unusual approach to building a soccer club in North America, and special thanks to Sean for joining us in a special extra episode of the Pitch Invasion podcast. One correction: we mistakenly identify the Michigan Bucks as playing in USL Pro rather than USL PDL. The interview got very interesting around 17 minutes in. It was certainly kind of you not to point out that you were coming from Chicago and not Cleveland. . .
As for “sucking” we’ll find out on May 12. Tom, really enjoying the podcasts so far — as an American with a soft spot for lower division soccer, it’s great to see quality coverage that takes the subject seriously. Rob, thanks for the kind words and I’m glad you’re enjoying these. I’ve heard about Chattanooga FC, but did not know they were doing so well at the gate, and will definitely look into that. Thank you! As a designer it’s rad to hear a bit about the branding of the team. As I designed a fan logo for Detroit City FC before this current Detroit City FC existed. Great job with the posts and good luck to the new team. Hipster-tastic, in the best possible way, and a good example of soccer that’s simultaneously doing something very important—building community—but also not taking itself very seriously. Great stuff.